Well what a silly question! 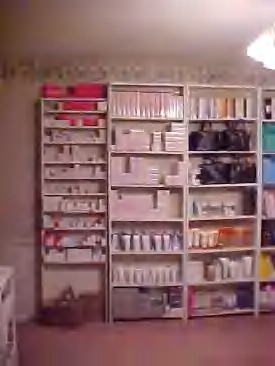 If you’ve just joined Mary Kay, of course you should order inventory. In case you didn’t know, your recruiter doesn’t make any money unless you order inventory! You don’t actually need to sell anything. If you order, the recruiter profits, period. Get ready for the “inventory talk.” Most importantly, you’ll be told that inventory is “optional” and that “it’s completely your decision.” Those things are said so that if you later regret ordering that inventory, the recruiter or director has an “out.” It was your choice, remember? But of course, even though they say it’s your choice, the squeeze is on as soon as they start talking about inventory. And it goes like this… you won’t be successful in Mary Kay unless you have inventory. Are you a loser who is planning to fail? Then don’t get inventory. Do you want to be a winner? Then get inventory. They’ll tell you that an inventory order shows you’re “serious” about your business. One of the first decisions a new consultant must make is to decide if she wants to stock inventory for on-the-spot delivery or take orders, collect the money, and then place an order, delivering when the product comes in. I figure most women are like me. When I want something, I want it now! I don’t want to have to wait. Customers have often commented to me that they appreciate the fact that I have a full inventory and can deliver anything to them at any time. So, my suggestion to any new consultant is to begin building your inventory immediately. Deliver product to your customers as soon as they place their order. You carry product in your home which you have purchased in advance to sell to your customer, or ..
Customers place their product orders to you, and you accumulate their orders and then place an order to the company to service your customers for the products they need. Resources – Do you have the capability to make the purchase? Goals – What level you choose should depend on your business goals. The single most important issue involved with inventory is that you make a decision that you are happy with, so that you are able to focus on succeeding in your Mary Kay business. Either choose to carry inventory or place orders to the company to service customers, but either way, make a decision and be happy with your decision. Higher Sales – Women want their products as soon as they try them. Your sales will be 50% higher if you carry inventory to give immediately to your customers. Less Returns – Women do not usually change their mind once they have the product in their hands. If they have to wait for product they can change their mind about their order due to money stress, or husband. Confidence – You are more likely to actively work your business if you have product on your shelf. You will feel like a professional and have more confidence in your sales ability. Motivation – Your inventory will motivate you to do your business when you lack self-motivation. Product sitting on your shelf will get you out there selling! It’s instant cash! Profit – You will see a profit quicker from carrying inventory. If you have to place orders, it takes longer to see profit. Also you can see a higher commission level from your sales, since you will need to order less often. Higher Reorders and Less Customer Drop-off – If you are able to immediately service your customers once they run out, they will learn to depend on you. If you have to place an order to the company, they may look for another consultant who carries inventory. Less Frustration – The consultants who do not carry products tend to get frustrated with their business. Your goal is to build to a level of inventory suitable for the size of business you intend to have. I am assuming you have joined Mary Kay to make money. If that is the case, then you will want to build to a full inventory, which is at least at $3600 or more. I personally maintain an inventory of about $6,000 wholesale. But, whether you begin with no inventory, a small inventory, or a complete inventory, your goal is to maintain enough product on hand so that you can deliver to your customer on the spot. If you are not at Full Inventory Level: Until you are at that inventory level, I suggest you reinvest all your profits back into more inventory, so you can grow to the inventory level to meet your needs. You have been living without Mary Kay money until now. The wisest money management practice to assure a successful business is to forego profit while you build your inventory. How does that look? Take a look at this example. You begin with $600 wholesale. You sell $500 retail for the week. Rather than paying yourself $250, you would take the entire $500 and order $500 wholesale of more product. $250 wholesale would be replacing the products you just sold, and the other $250 wholesale would be buying enough more to now have $850 wholesale on your shelf. Continue to reinvest profits until you have an inventory that will maintain your sales level. FEWER returns, not “less returns”. FFS, Mary Kay, get it together. Women don’t change their minds after they have product in hand? Obviously this gal wants to pretend the “use it up then demand a satisfaction guarantee” people don’t exist. Or maybe she’s never held a party where the person most eager to attend brings a sack full of partially used products which she insists are defective and wants to return in exchange for all the new stuff. OMG! Really? That’s cheesy and…wow, some people! That is so wordy! Who would even read it?